I am ecstatic because there is always something new in the market to share with you, my dear readers. From napkins, hair care, skin care to baby's hair accessories and even water bottle- I have compiled these products so you and your little one can look and feel better! 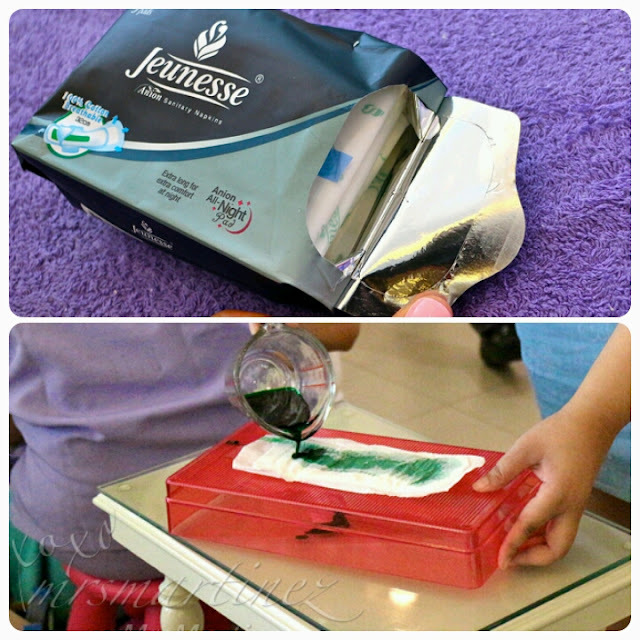 I have been using Jeunesse Anion Liners for weeks. What I like about the product is that it is super absorbent, has breathable bottom layer which eliminates heat, no irritation and no unwanted odor. Jeunesse Anion Sanitary Napkins and Liners are available in groceries and supermarkets near you. Himawari Dear Beaute hair care series can tame wavy, unruly and frizzy "rebellious" hair. It is formulated with Organic Sunflower Oil, Organic Sunflower Sprout Extract, Sunflower Seeds Extract and Sunflower Extract to achieve more manageable & healthier hair. It also contains lipid & moisturizers plus damage repairing ingredients. 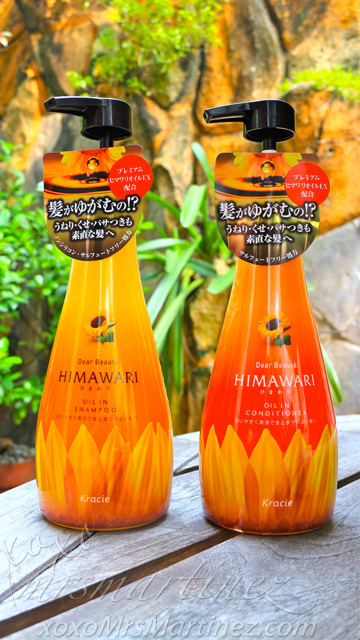 Himawari Dear Beaute Oil In Shampoo and Oil In Conditioner are Silicone-free & Sulfate-free. Both products intensively repairs damaged hair leaving it smooth, healthy and more manageable with daily use. Himawari Dear Beaute is available in all Beauty Bar branches. 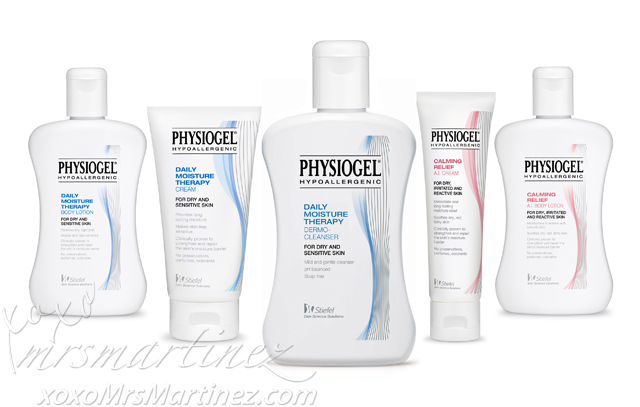 #FreeInMySkin Movement 2015 coincides with the debut of the NEW Physiogel Daily Moisture Therapy line. It features the unique Physiogel BioMimic Technology that works to soothe and repair the skin's natural barrier. During my last visit to my dermatologist, she recommended Physiogel AI Foot Cream (Urea) for my Keratoses Pilaris because it is non-comedogenic, and is free from soap, preservatives, perfumes and colourants. Physiogel, the #1 Most-Prescribed Brand by Dermatologists in the Philippines, is available in Mercury Drug stores and other leading pharmacies and supermarkets nationwide. I use Scunci No Slip Grip bands on my hair when I tie it so, naturally, I only use the same brand for my daughter. 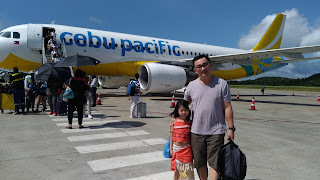 My little princess is using Scunci Girl No Damage (photo above). 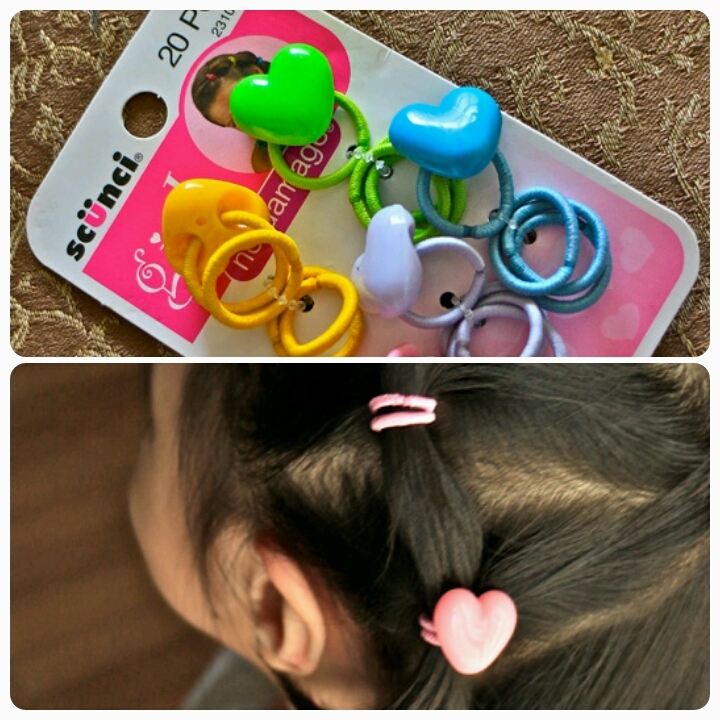 With each Scunci, I am assured that my daughter's hair is safe from tugging and pulling that normally happens with ordinary elastic bands. Scunci is available in all Beauty Bar branches. I bought another water bottle and it's the ultra light stainless steel bottle from Tiger. It's so portable at only 130g. It features advanced finished process called "Super Clean Plus". It's insulated so the bottle won't sweat even if you put a lot of ice into your drink. You can also put hot drink if you want, it can retain the heat for approximately 6 hours. The best thing about stainless steel bottle... it's BPA free! 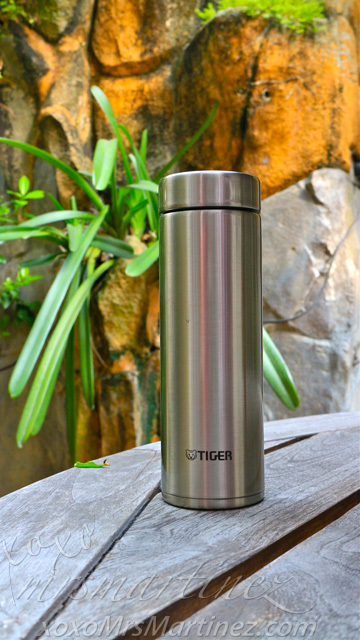 Tiger Ultra light Stainless Steel bottle is available in department stores nationwide. Have you tried using any of the products I mentioned above? Let me know what you think.